Almost all of the best children's poets today write children's poems with repetition. Rather than being didactic, using repetition in poetry enhances the rhythm and meter of each poem and makes it more fun to read. A poem that has a "refrain" or some repetition is also easier for kids to memorize than a free-verse poem or a poem with looser structure. The repetition often encourages kids to read that poem repeatedly until they have it memorized. Children's poems with repetition may also help kids notice similar structures in other forms of expression, such as visual art or song verses and choruses. Most famous children's poets have released books of their poetry that include some verse with repetitious elements. Each poet handles repetition slightly differently, so while one may repeat words or phrases in a stanza, another may simply use the same rhyme structure or employ alliteration (repetition of a first consonant or vowel sound in a word). Three very popular children's poets who use these techniques are Jack Prelutsky, Shel Silverstein, and Roald Dahl. The first-ever Children's Poet Laureate (so named by the Poetry Foundation), Jack Prelutsky writes rhyming, whimsical, creative poems that often have a twist at the end. Several of his poems are posted for everyone to read on his website. Prelutsky's work is full of imagination and often addresses fantastical topics and subjects that kids enjoy reading about, such as animals and food. He has written poems that appeal to people of all ages, but upper-elementary or early middle-school kids may get the most out of his work. Dahl's poems may appeal to boys or reluctant readers when other poems will not because his work tends to be very lively, descriptive, and often gruesome. If you're not sure where to start in looking for children's poetry, you may want to try your local library. Children's librarians know what they stock and can help you find the books you desire. The library is also a great place to load up on a wide variety of kids' poems and experience samples of many different authors. Picking up an anthology will also expose you and the kids you know to some of the best verses around. Anthologies are often themed, so if you're looking for a collection of poems on a particular subject, you may have a better chance of finding a mishmash of authors combined in one volume rather than a group of poems by just one author. An excellent general anthology for kids of all ages is The Random House Book of Poetry for Children. Searching for poems online is another viable option, as many authors release some of their work to the public domain or post select pieces on their websites. 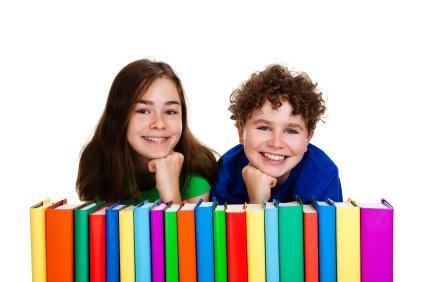 Bookstores are also worth visiting for the best variety of new and classic children's poetry books around.